Communicate, congregate, and collaborate more effectively than ever. Smart Teams will help your team to go beyond personal productivity to enhance team productivity. 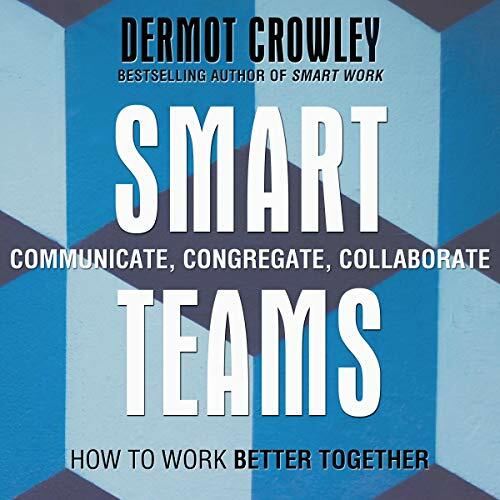 Building on the concepts presented in Smart Work, which focuses on personal productivity, this audiobook shows you how to turn unproductive team behaviors that create friction into "superproductive" behaviors that promote flow. Productivity is, at its core, a leadership issue - and this audiobook provides practical guidelines that help you build a culture where productivity thrives. Working together can be a drag - literally. Email noise, unproductive meetings, and poorly organized projects can stifle creativity and disrupt everyone's workflow. But by creating team agreements that raise awareness of the negative impact of our behaviors, you build the desire and capability to change. This audiobook is packed with tips, guidelines, and expert insights for leaders and managers at any level. People want their work to matter, they want to make an impact, and they want to do it all with a healthy work-life balance - productivity is the key to making it all happen. Smart Teams shows you how to implement the culture shift that will allow your team to flourish.